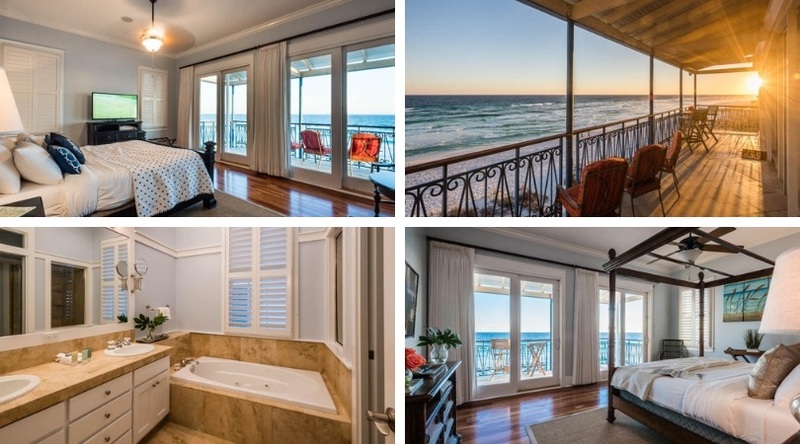 High-end construction and an exceptional rental history make this home a top choice for the discerning buyer looking for Gulf front properties in Miramar Beach or Destin. 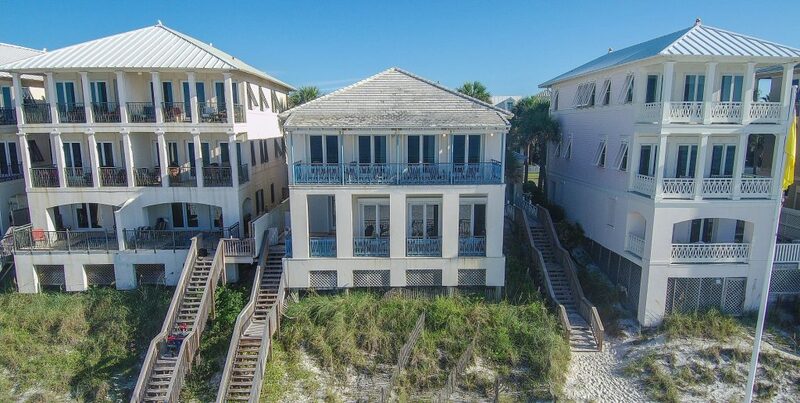 This five-bedroom beachfront residence was one of the first custom Gulf front homes built in Frangista Beach. Constructed to withstand the elements over the course of time with a masonry block exterior resting on a slab with rebar and a foundation on pilings. Seeking outstanding rental income? This property has over $216K on the books for rental income in 2018 in its first full year of being on the rental program! 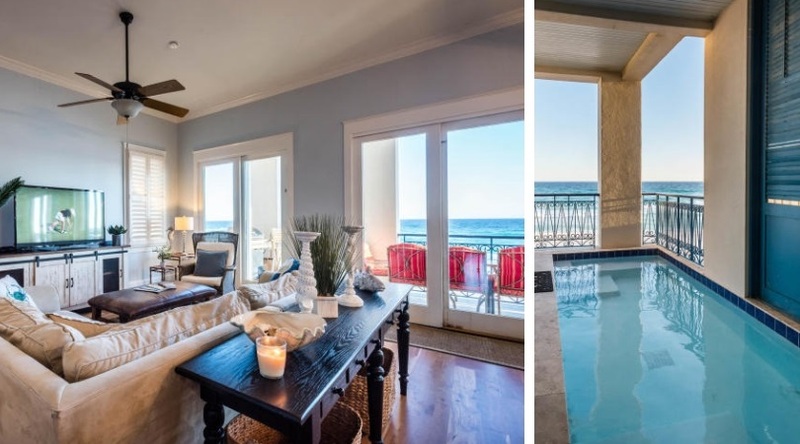 With water views in EVERY direction, this stunning home is everything you have been searching for in a vacation rental — Gulf front with amazing views, a private heated pool, multiple outdoor porches and comfortable sleeping arrangements for up to 12 guests. The open concept living, dining and kitchen area are perfect for entertaining your family and friends with a stunning backdrop of incredible coastal views. The kitchen provides ample space, is well-stocked and boasts granite counters and high-end appliances. 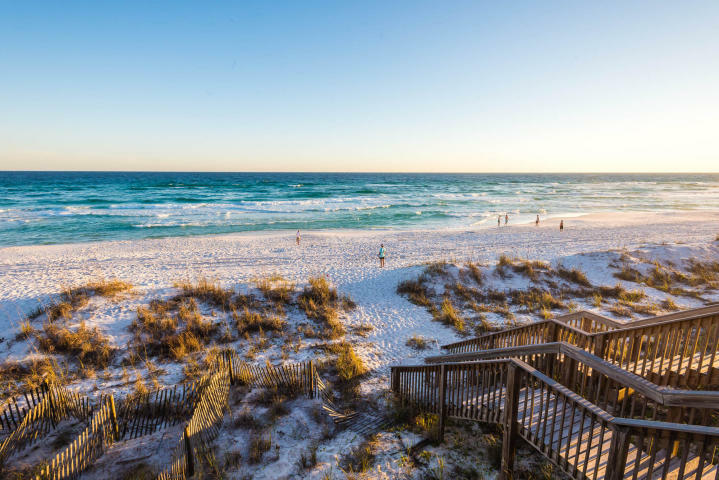 Also located on the main floor is a laundry room that conveniently stores pool and beach items, a full-bath and a bedroom large enough to accommodate two queen beds. As you make your way upstairs, you’ll find TWO Gulf-front master bedrooms with luxurious, private master baths. Each master opens to a second-floor beachfront balcony. Watch the dolphins in the morning, or simply soothe yourself to sleep with the sound of Gulf waves. Two additional and spacious guest suites with private baths are also located on this story. With 10′ ceilings, oak flooring, abundant natural light and classic decor, this home is one of the best buys along the Emerald Coast! You are within walking distance to Alvin’s Island, bike rentals, a coffee shop and some of the most popular dining establishments in the area. 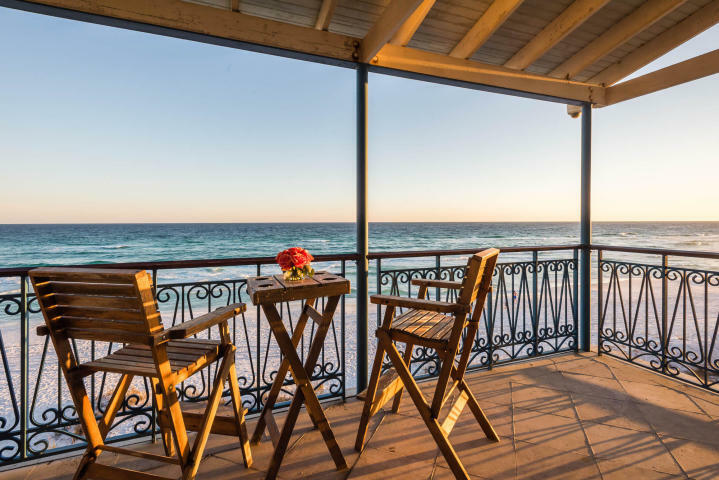 A well-established rental destination, Frangista Beach has over 400′ of deeded beach accessible through gated coded entry. Frangista owners and guests also have access to the large community pool complete with a waterfall and restroom facilities. Interested in learning more? CLICK HERE for complete property details.